Past Danse de Printemps, near the blue path. 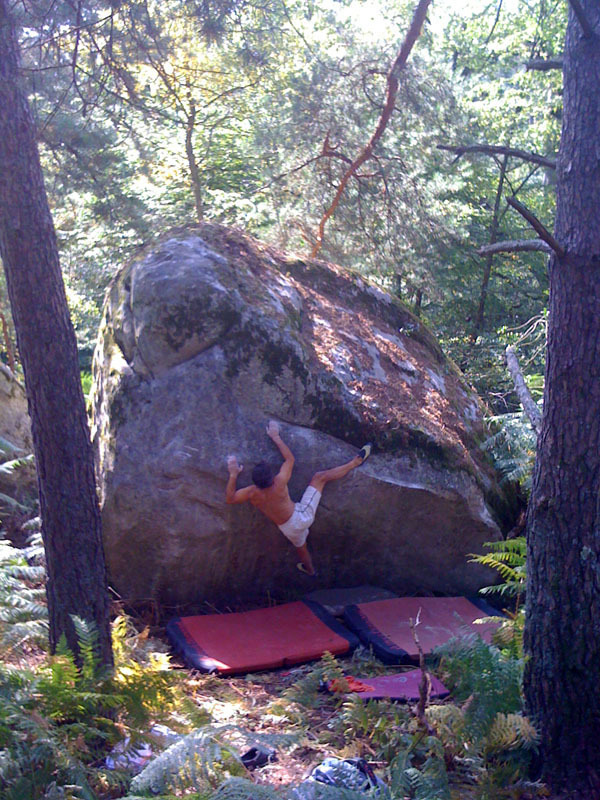 Sitstart on the right with the two hands on the arete, traverse in the middle without using the top of the boulder and exit either on the left of the arete or directly. Access : from Les JO de Londres, go down the blue path for 10m, take a small path on the left before the tunnel; the boulder is to the opposite of the blue path 8m further.